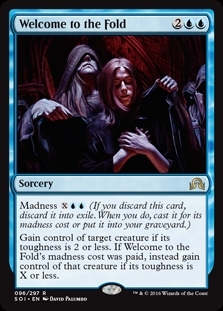 Strength of Arms ($0.02) Price History from major stores - Shadows over Innistrad - MTGPrice.com Values for Ebay, Amazon and hobby stores! Card Text: Target creature gets +2/+2 until end of turn. 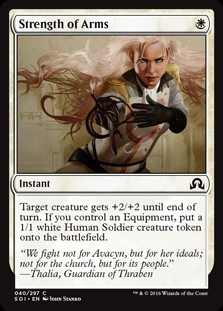 If you control an Equipment, put a 1/1 white Human Soldier creature token onto the battlefield.